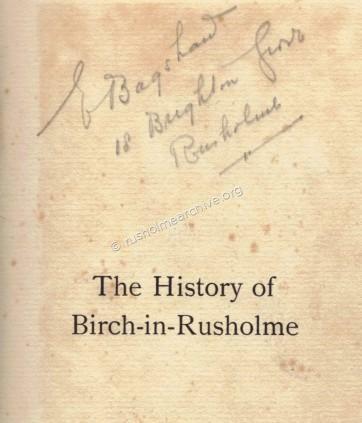 The PDF version of ‘The History of Birch-in-Rusholme’ by John Shaw Buckley was scanned from the personal copy of Major General Sir Archibald E Harbord Anson. 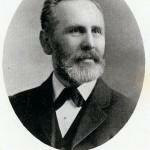 He was the younger brother of Archdeacon George Anson, the former Rector of St James from 1846 until 1898. 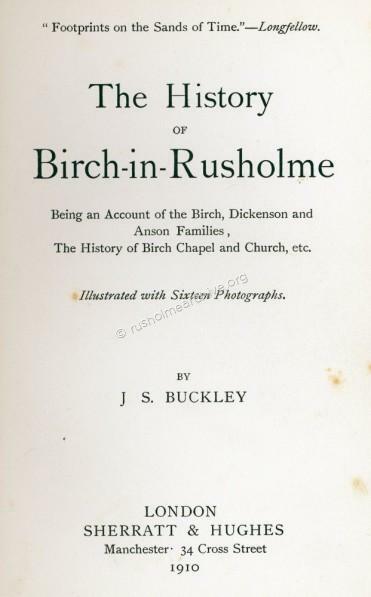 In addition to some various notes that he has made there is also a separate booklet pasted into the front, ‘Memories of Birch’ written in1896 by Herbert Birch whose family had once owned Birch Hall and the surrounding estate. 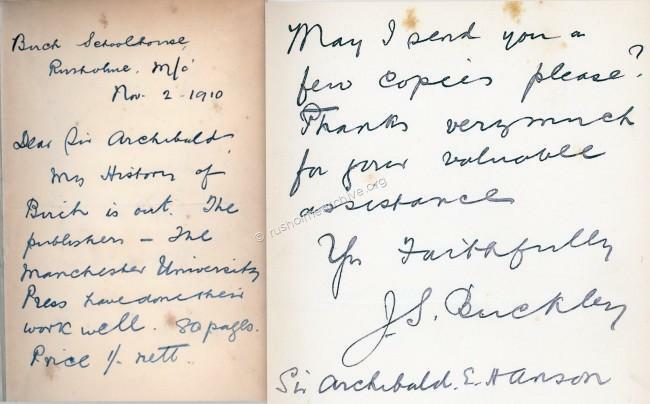 When the book was ready for publication the author wrote to Sir Archibald asking if he would like to buy some copies. 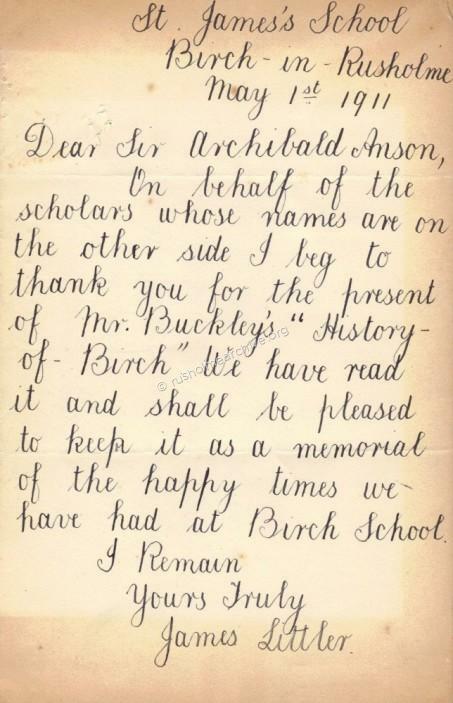 Sir Archibald bought ten copies of which five had to be given to the best scholars at Birch School. 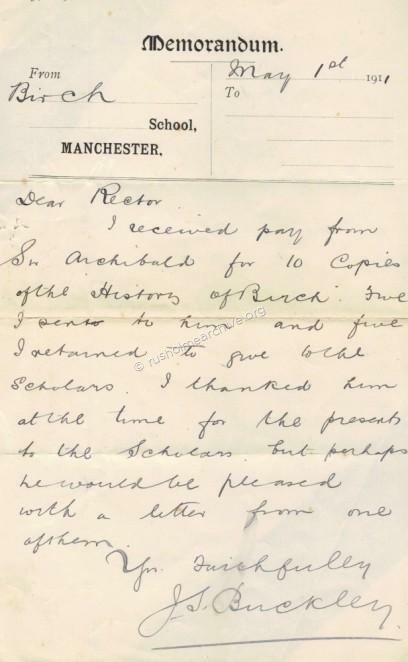 I have scanned some of this correspondence and this includes a letter from the scholars to Sir Archibald thanking him for the books. 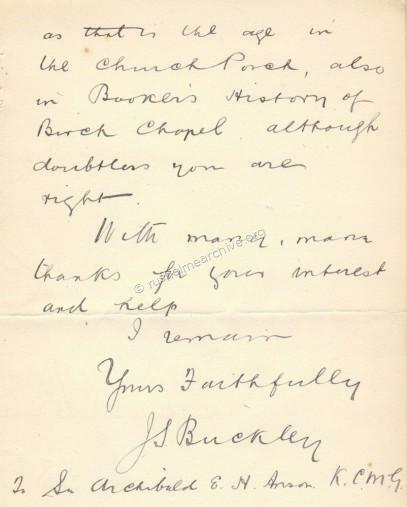 I have acquired over the years three copies of this book, and one of them was the copy given the fourth scholar Evelyn Bagshawe - see the scan below! COPYRIGHT. 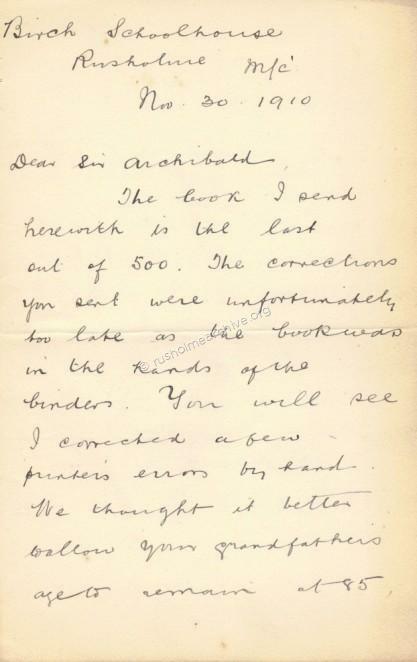 I am confident that this book can now be put into the public domain without infringing any copyright as the author died in 1921. If there is any person who feels that I am mistaken about the copyright of this book perhaps they will contact me. 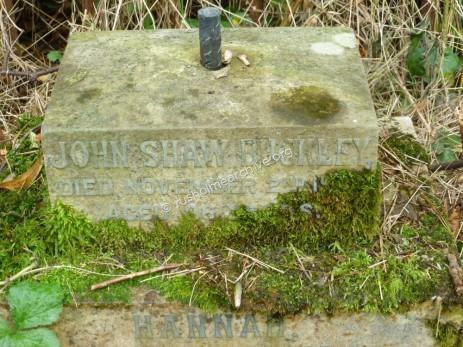 My final thought on this issue is that I am sure John Shaw Buckley would be very pleased that his 'History of Birch-in-Rusholme' was freely available to be read by all.